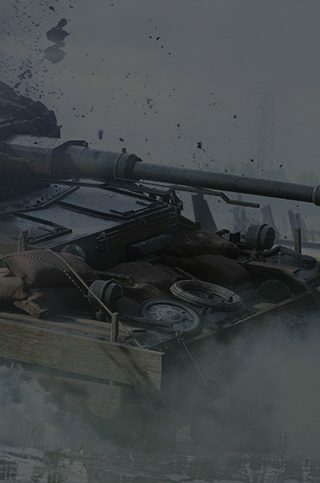 Learn how to make the most of your tank’s weapons on the battlefield. Take your tank weapons to their full potential with help from this Battlefield™ V video from LevelCap. For sheer, overwhelming power you can’t beat a tank. They can send infantry scattering, break through the toughest fortifications, and take out enemy armored vehicles like nothing else. Of course, tanks aren’t the most speedy or nimble vehicles, and that can be a problem when you’re trying to adapt to rapidly changing circumstances on the battlefield. Luckily, tanks come with both primary and secondary weapons. The slower, harder hitting cannon will certainly create the most devastation, but in situations where every second counts, your secondary weapon (often a rapid-fire machine gun) can really save your bacon. One important consideration when engaging in tank-to-tank combat is your opponent’s armor deflection capabilities and weak points. Lining up your shots is also extremely important, as a bad angle can lead to ricochet and much less damage. Both weapons and armor are upgradeable, so keep your playstyle in mind and invest wisely in your Specializations. Finally, don’t forget your ammo supply is exhaustible. Be sure to get to know where your resupply stations are located so you don’t run out at a critical moment. Find out more about the vehicles of Battlefield V here. Have some more questions? Find your answers on our Battlefield V Boot Camp page.